New for 2011, my new free-float tube is finally finished. Over the last 18 years of working with, and building uppers, I have gotten increasingly disappointed with the commercially available float-tubes on the market. 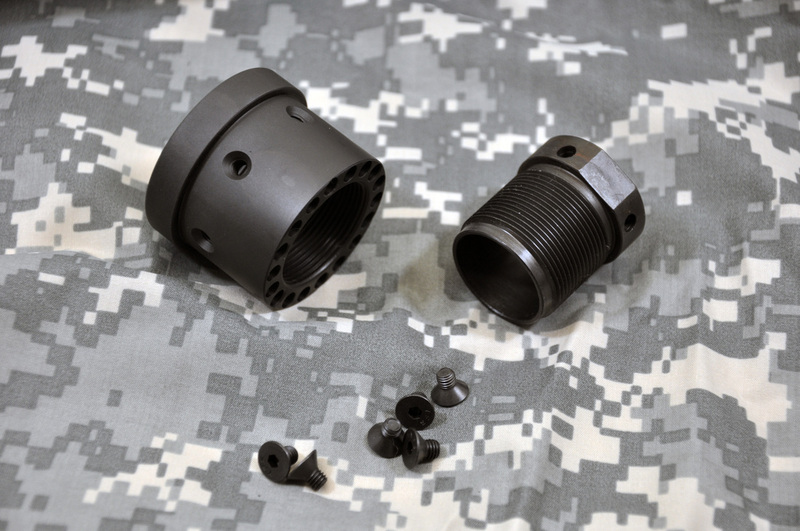 Most are of the two-piece design that forces you to accept whatever torque you end up with when the barrel-nut is correctly timed-up to the receiver. My new float-tube has a two-piece barrel-nut that allows you to get perfect alignment for the gas-tube, without respect to torque. This also allows you to have the vents and sling-stud always time-up perfectly. The float-tube can be installed. removed and reinstalled as many times as you wish, and you will never have to worry about your sling-stud ending up anywhere but bottom-dead-center! 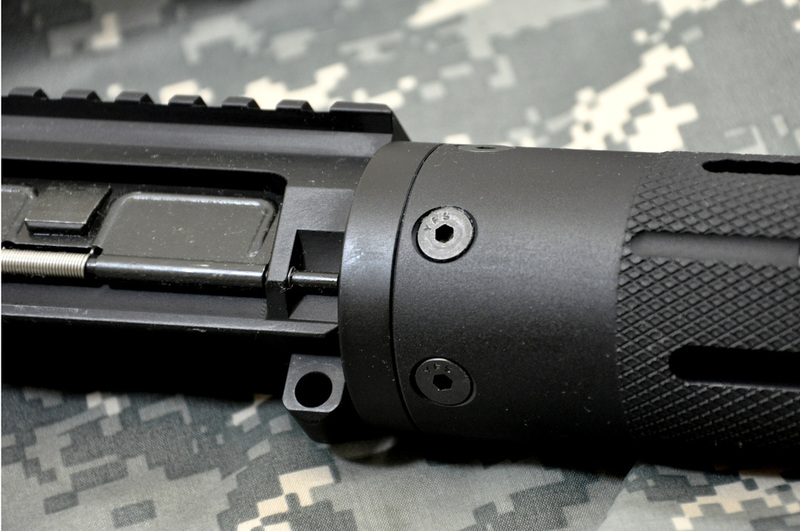 All float-tubes are ventilated and have a bi-pod/sling stud installed. The tubes have a flat knurl. Just enough to give you grip, but will not tear up your sand-bags or rest. 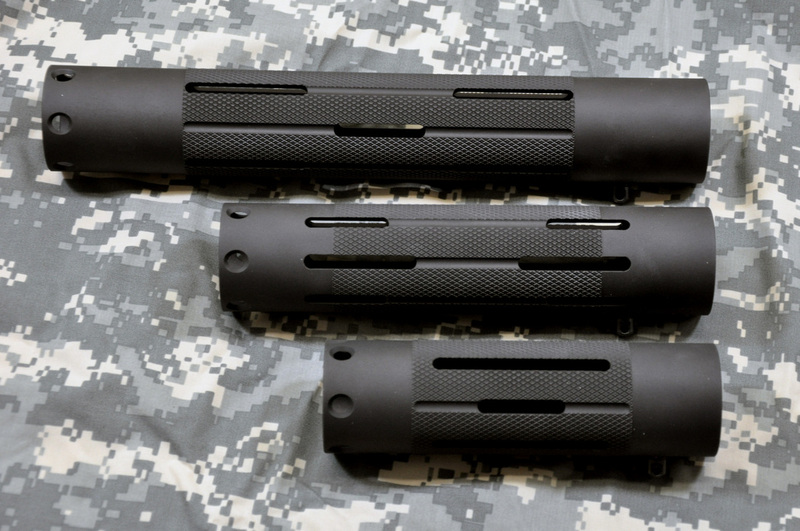 The new Dtech float tubes are available in carbine, mid-length and rifle-length and are priced at $100.00 for any length. 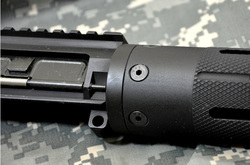 rifle-length tube, with the nut and insert.